ESPinc offers a very informative presentation to employee groups called the “Bitter Pill”. 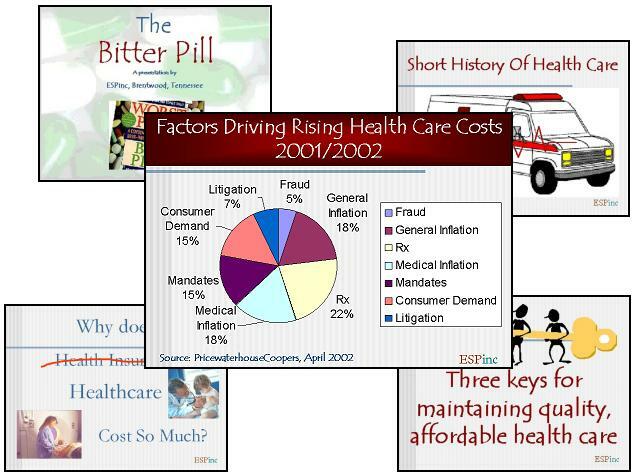 This presentation focuses on why health care costs so much, who is to blame, who is really paying for it, how it effects payroll and what the employee can do about it. The presentation takes an hour and is free to our clients. It is also available to potential clients for a small fee.